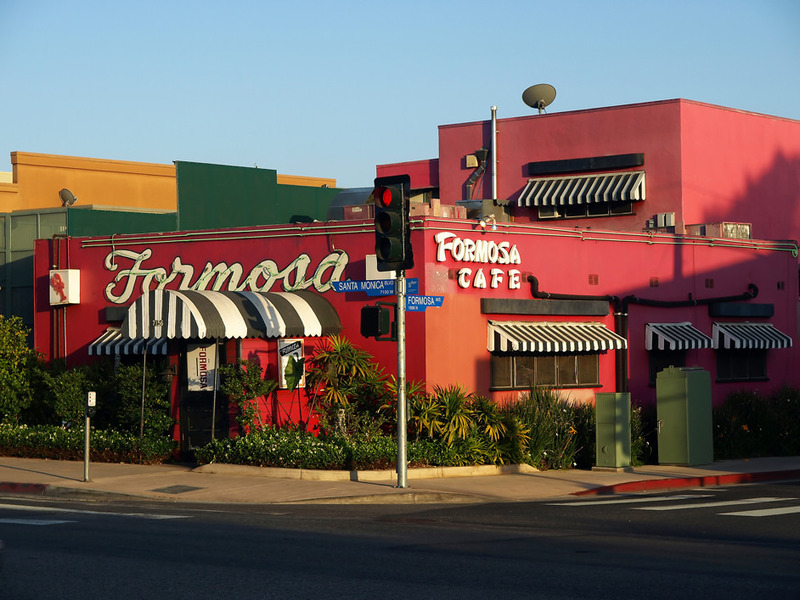 The West Hollywood Preservation Alliance (WHPA) urges that the staff recommendation presented in this item not be approved based on serious concerns related to issues of government transparency, widely-accepted historic preservation standards, and overall respect for West Hollywood’s cultural resources. Here is why WHPA is not supporting this flawed recommendation or Draft Resolution HPC 17-125. What exactly transpired between your March 2013 meeting and that of the City Council in July 2013? The WHPA realizes that the HPC is an advisory body that makes recommendation. However, if the recommendations that you so diligently work on and then adopt are somehow magically changed with no further input from the commission or the public raises serious questions related to government transparency and ethical standards. Adding further to this murky scenario is that the adopted Resolution No. 13-4478’s Section 6 states that “On May 20, 2013, the City Council reviewed the staff report and written evidence, the Historic Preservation Commission’s recommendation, and took testimony from interested parties.” [Emphasis added] The WHPA finds absolutely no record of any such meeting on May 20, 2013, which calls into question the accuracy of the resolution adopted by the City Council on July 15, 2013. What we do surmise is that the resolution which city staff presented to council appeared to respond to the owner/developers concerns rather than to the more comprehensive view taken by the commission. When and how these comments were received and given the weight which they seem to have been given is not at all transparent. Furthermore, the City Council’s retreat from the HPC’s more comprehensive consideration of the buildings and their environs seems to suggest a move away from carefully evaluated preservation to a more narrow view which is focused more on development. The U.S. Department of the Interior’s Technical Preservation Services has a section on “New Construction within the Boundaries of Historic Properties” HERE. In describing the new development, the current staff report suggests that the proposed four-story building is a “backdrop” for the historic properties. However, the WHPA believes that this new development is not subordinate to the cultural resources and contradicts federal standards. It will loom over the historic sites like a massive wall. The buildings behind the development on the cul-de-sac Betty Way are given a “backdrop” of a row of trees. Why, we ask, do designated properties receive less consideration? Even though the proposed structure has ‘green’ walls, this does not diminish the massiveness of the four-story building. Even if the rationale for the large structure is that other large buildings exist in the area, this does not mean that 927 and 931 N. Palm Avenue benefit in any way from having a four-story building in their backyards. Overall, the proposed development demonstrates little sensitivity to the value of West Hollywood’s designated cultural resources. Even if the new four-story building fulfills a need, it exacts a heavy price. With only 4 of 7 HPC commissioners expected to deliberate on this vital matter at the July 24 hearing, and with many still unanswered questions and unresolved procedural discrepancies, the West Hollywood Preservation Alliance believes that consideration of Draft Resolution HPC 17-125 should tabled or continued to some future time. As it stands now, Draft Resolution HPC 17-125 should not be adopted. Doing so could result in potentially protracted legal action. Travel back in time via clips of movies shot in West Hollywood going back to 1944, then take a walking tour of the magnificent 1920s apartment buildings of the North Harper Avenue Historic District. City staff will be on hand to answer questions about the benefits available to owners of historic homes, and refreshments will be served. This event features a special screening and panel conversation showcasing the Los Angeles Conservancy’s first three short films on significant LGBTQ spaces and civil rights stories. The films showcase the following locations: The Black Cat (Silver Lake), The Woman’s Building (Chinatown), and Plummer Park, Great Hall/Long Hall (West Hollywood). The event will also explore other LGBTQ historic places throughout Los Angeles. 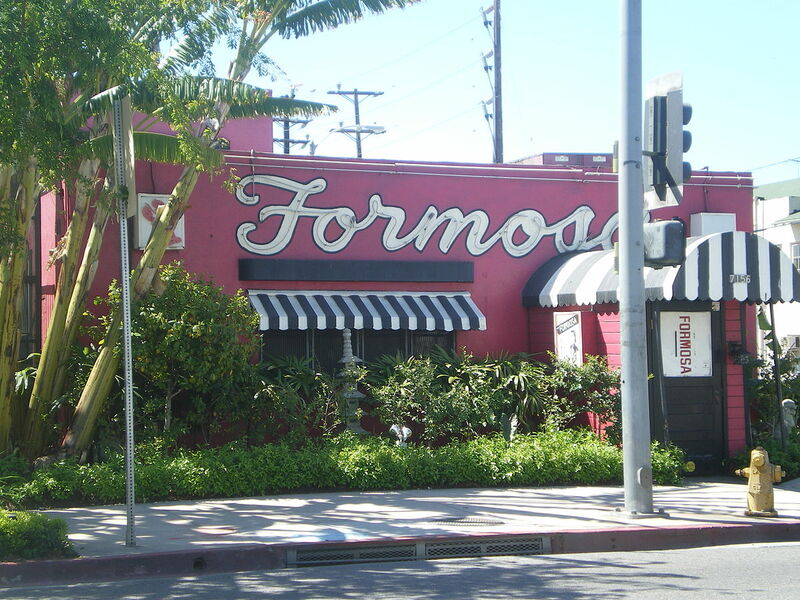 Access the just issued update of the West Hollywood survey of potentially historic commercial buildings and the proposed Eastside thematic grouping of early 20th century homes at this link. And please reserve next Wednesday, March 15, 7 p.m., in the Plummer Park Community Center, 7377 Santa Monica Blvd., to attend the Historic Preservation Commission meeting which will be reviewing these two very important preservation topics. The Commission appreciates receiving public comments and your opinions. – GPA Consulting is maintaining that WHPA’s 6 suggestions and City Council’s other 4 suggestions are still INELIGIBLE for any type of formal historic designation (local, state, federal). A historian did submit additional information on the MACHA Theatre building that’s in an attachment to the city report, but it appears to not have swayed GPA’s final analysis. 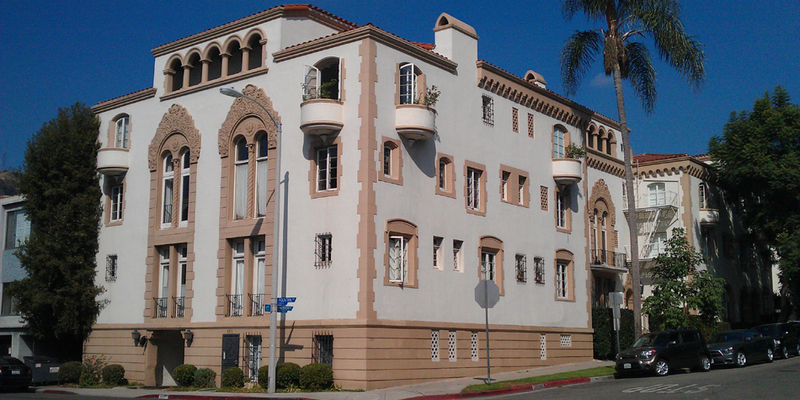 The West Hollywood Preservation Alliance (WHPA) has reviewed the city staff report on the “Multi-Family Incentives Project” that the Historic Preservation Commission is considering at its May 23, 2016, meeting. While the WHPA supports the four (4) recommendations identified in the staff report, we believe that much more could be done to bolster the city’s contention that it puts a high priority on historic preservation. The WHPA strongly supports the establishment of a “Historic Apartment Preservation Program” as outlined on Page 30 of the Page & Turnbull/Place Economics report. We urge the Historic Preservation Commission (HPC) to make a motion to include this program as a recommendation, and we would like to see the HPC take a public vote on this matter. The potential costs of such a program could be better clarified in the report. 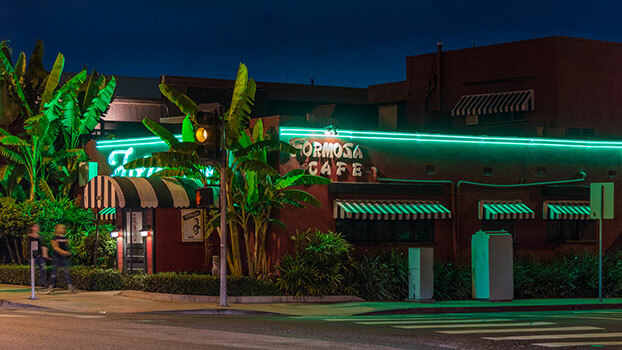 Even so, the WHPA points out that the City made a recent $7.0 million purchase of the one-acre of vacant land at Crescent Heights and Santa Monica Boulevard and a $2.5 million purchase of the former Coast Playhouse across from City Hall. The City of West Hollywood has the resources — it’s time it started to truly respect its historic buildings and the owners who provide 593 rent-stabilized units of housing for citizens of West Hollywood, and allocate more money into maintaining our city’s historic infrastructure. After a nearly three-year process, a contract expenditure of $122,000, and myriad meetings of community members and city commissioners, city staff recommends several relatively minor recommendations which the WHPA does support. Along with the waiving of city fees, the adjusting of repainting time schedules, and utilizing an already extant Transfer of Development Rights Program, the staff report recommends hiring an on-call historic preservation consultant costing $25,000 annually who will assist owners of historic properties. In the past, the HPC has questioned and the WHPA still continues to question why the City does not hire a full-time staff member assigned to historic preservation. So much more could be done with such a designated full-time position. In addition, the WHPA has recently learned that funds received under the Community Development Block Grant (CDBG) program can be used for historic preservation projects. We ask that the contractor Page & Turnbull and the city staff explore this opportunity further, and provide an update to relevant commissions and the public before the City Council’s August 15 planned hearing on incentives.